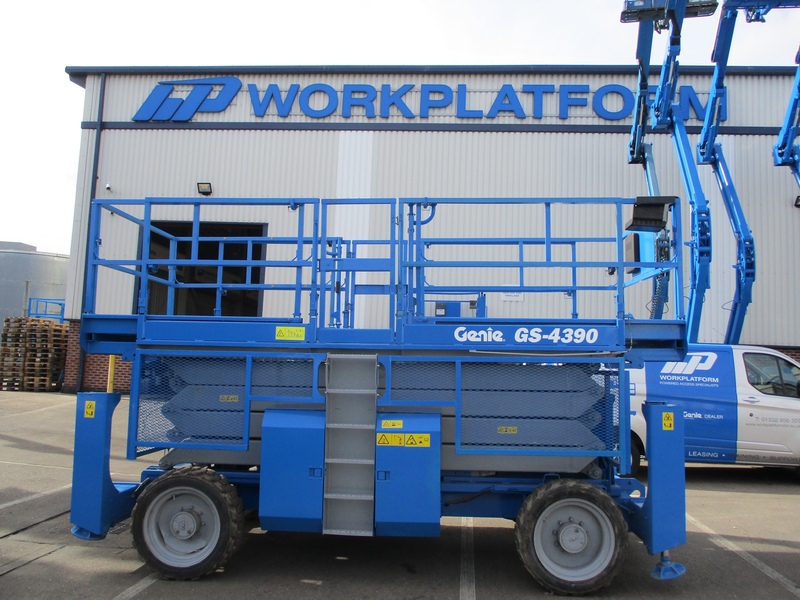 The Genie GS4390RT is a rough terrain scissor with excellent durabilty. 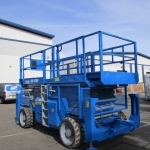 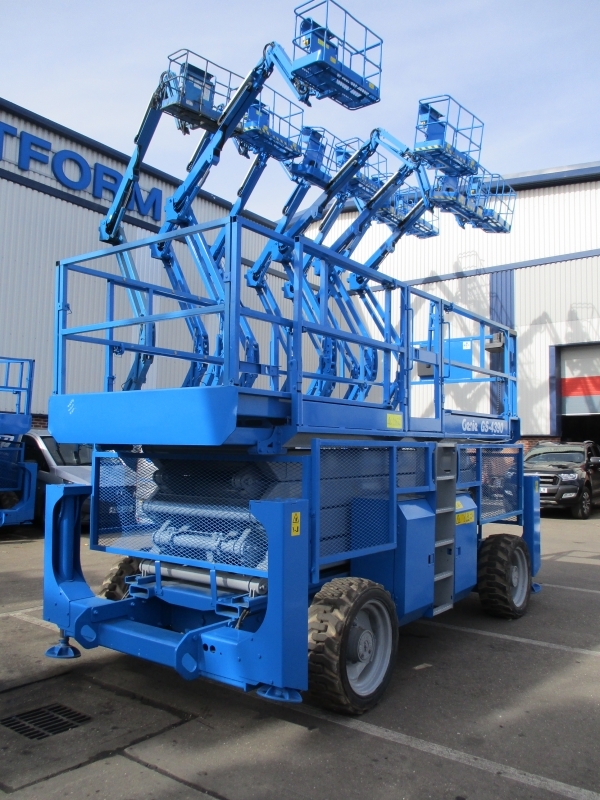 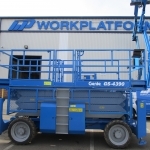 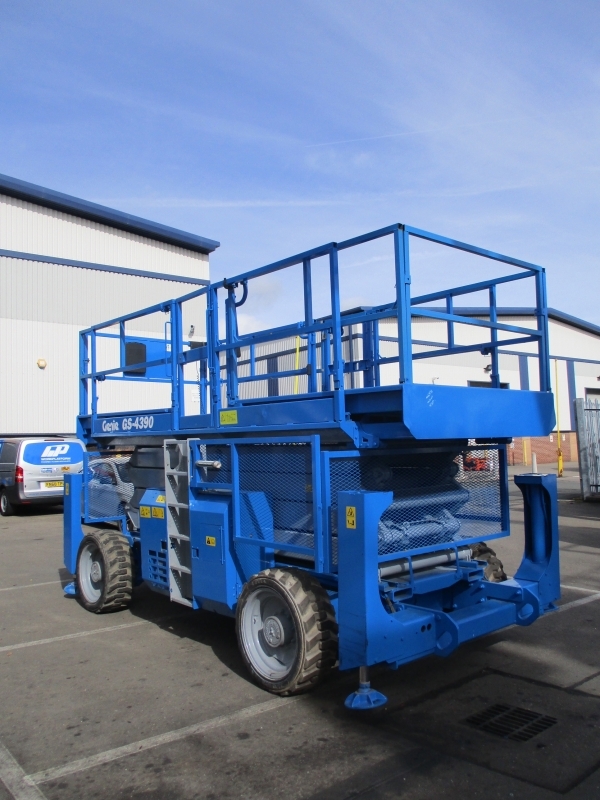 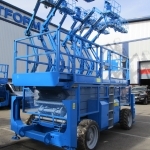 Diesel powered scissor lift with a maximum working height of 14.75m which can also be driven at this height. 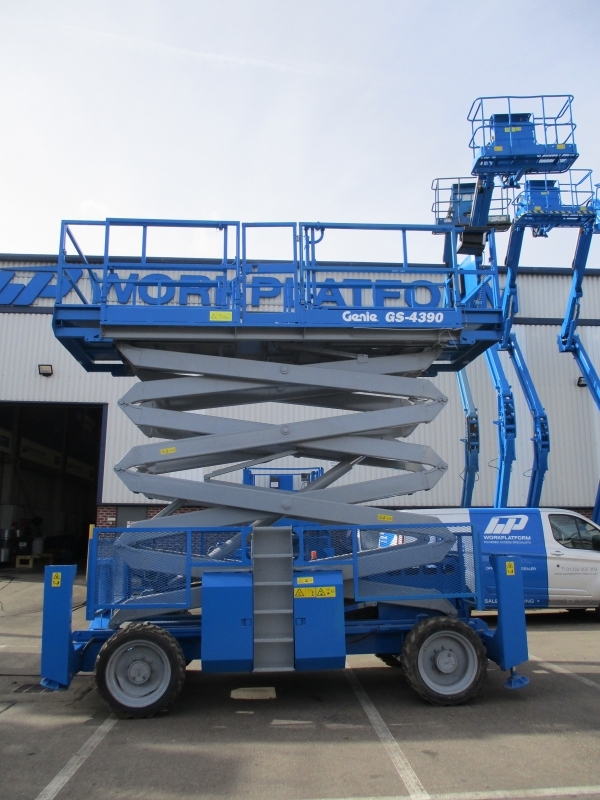 It boasts a 680kg lift capacity with a maximum platform occupancy of 7 people. 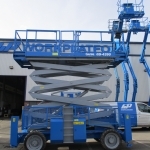 Supplied re sprayed with full service, 6 month LOLER certificate and 6 month warranty.